Work with superior zoom coverage and capture high caliber images that run the gamut, from sports action shot from the bleachers, to the most subtle gradations of hair blowing in the wind. Extend your reach with the 30-110mm (picture angle equivalent of an 81-297mm in 35mm format), and isolate subjects from their backgrounds with clarity. IF (Internal Focusing) maintains compactness of size—even when using the zoom. A perfect compliment to the 10-30mm, the 30-110mm takes portraiture a step farther. Stunning portraits with soft focus background effects are yours. Compact and easy to carry, realize the most subtle expressions and minute details. 1 NIKKOR lens precision offers superior sharpness and color correction—even at the widest aperture. Because portraits are usually taken spur of the moment, there is Vibration Reduction (VR) to keep images blur-free. 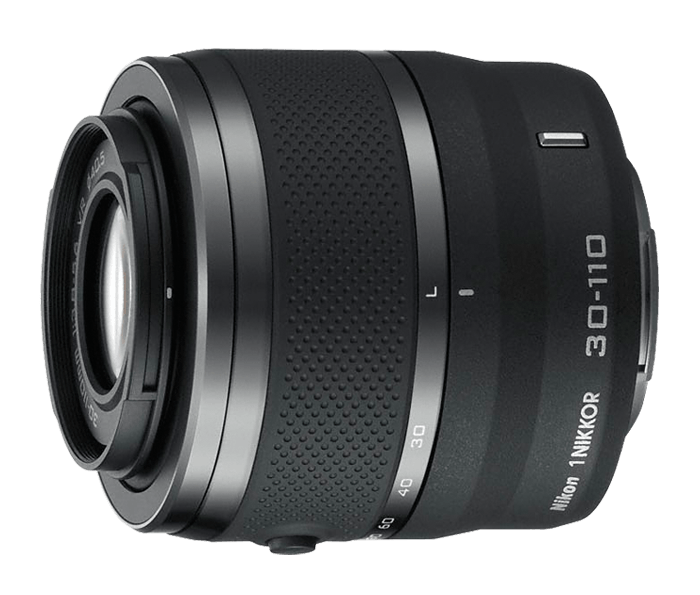 Get up close and personal to inject panache to your sports photography using the 30-110mm lens. Equipped with Vibration Reduction (VR), this lens separates subjects from their backgrounds—making it a great choice for honing in on subjects and create photos that are visually vibrant and perfect to upload to your blog or social media sites. Even at the most extended magnification, photos are rendered crystal clear and sharp, making the 30-110mm a perfect option for fast moving subjects from afar. Work with extended zoom range using the 30-110mm and produce sweeping looks that express your world. Subjects that need to be isolated from their backgrounds, such as a boat at sail, are easy with this lens. Equipped with Vibration Reduction (VR) up to four stops, you'll nab every precise color detail seen with dramatic sunsets.